Titles as listed by radio announcer. 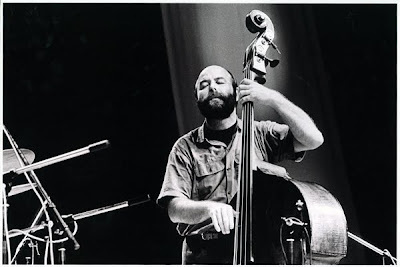 player (here also on cello), taped by our friend "Ilario". Some more notes from Derek's musical bag. 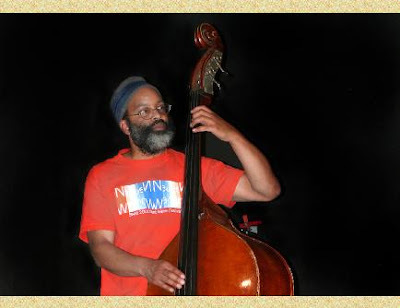 the bassist in the wonderful Wadada Leo Smith's Ensemble. from the first to the final note. 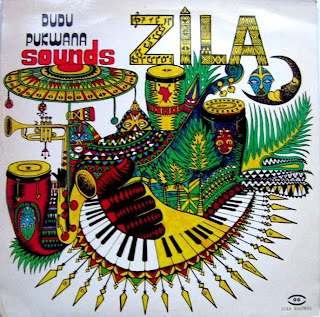 Some more dance music coming up here, this time Dudu Pukwana's 80s band, Zila. 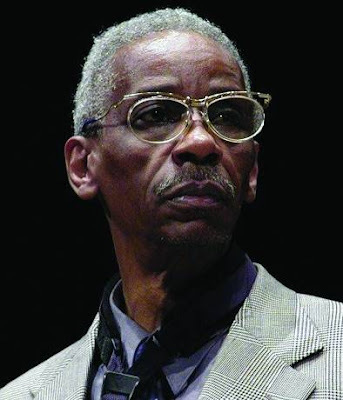 This was the first of three lps on his and Barbara Pukwana's own label, Jika, and there was a final record, a cd out in 1990. A live recording from the 100 Club in London in 1981, here's the band in a festive mood, some riveting up-tempo numbers, some smoochers and a little traditional South African music adapted for the band. This is Dudu taking his band in a more explicit danceable direction, perhaps not as interesting as his 70s recordings with Spear from the jazz point of view, but as with the Francois Tusques' Intercommunal Free Dance Music Orchestra, attempting to strike a sort of balance between the head and the feet, which is a good combination, particularly for a live performance. Party music, in other words. Not a top copy, this one - a bit of crackle and some nasty scratches here and there, but it's what I found, so it's what we'll have to make do with for now. Enjoy! More Zila available from your blogger if you want it! this kind of "chamber music". of intensity and poetry, mostly on the two ballads. 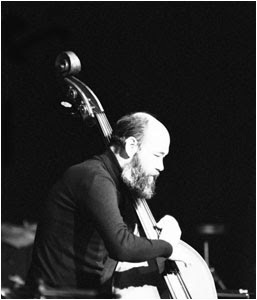 one of the first and most influential European free jazz player. to share another my recording of the Great singer. 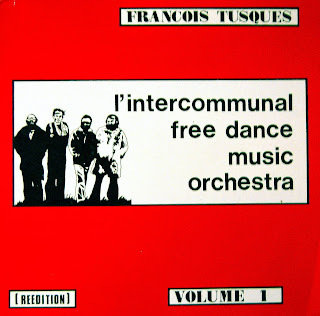 Following up the last post, here is vol.4 of the Intercommunal Free Dance Music Orchestra, led by pianist Francois Tusques. 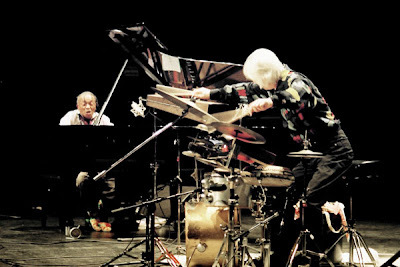 As with the former, this is an opportunity for Tusques to reflect the wider musical landscape beyond the Western horizon of jazz, though the root feeling is in jazz, as seen from their rendition of the Mingus classic "Fable of Faubus". On top of that, inspiration is from North Africa and all the way down the continent, from Latin America and the Caribbean and from French history with reminescences of the Paris commune. And at the end of the second track, there's a snip of a well-known tune which one unfortunately doesn't get to hear very often these days. I do think I hear touches of the South African Blue Notes on this record, though it may be wishful thinking on my part. All in all, a very enjoyable record and if anyone knows of more, please say so in the comments, though these things are becoming hard to get. I will certainly keep an eye out for more. 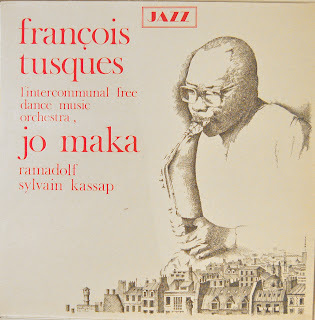 This disc is dedicated to Jo Maka (and do listen to the very fine solo on "Mazir). 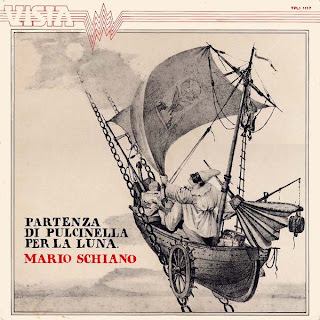 by the late Mario Schiano : just digitalized and ready to share. are very limited : i hope you'll enjoy this addition. 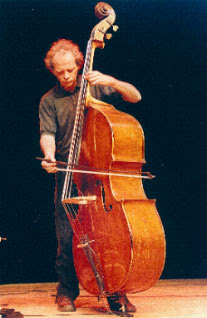 is : soprano-piano-flute-tenor with Holland playing for long the cello. Here's some more Francois Tusques - though quite different from what we have posted before here. 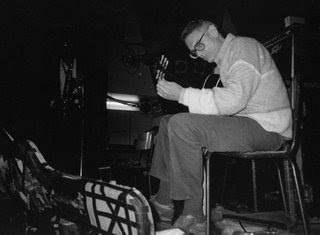 Both Free Jazz and Le Nouveau Jazz were early European excursions into the new thing, though firmly jazz-based. 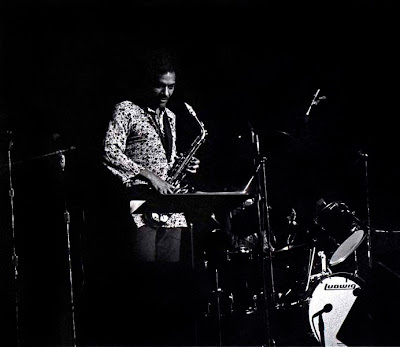 Tusques, moreover, guested on a couple of Sunny Murray's albums, a self-titled one and Big Chief and finally, was the leader of his own Intercommunal Music. All of these three were meeting points between American visitors, some of whom were eventually to settle down in Europe, and European players, mostly French. The last, intercommunal, album might hint at some sort of similarity with this posting, but in reality, this Intercommunal group is quite different. 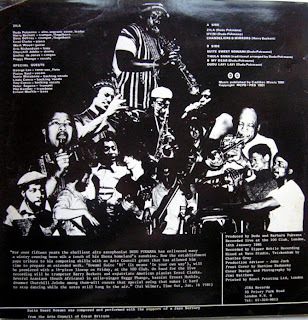 This was a typical 70s brand of "tiersmondisme", a connecting up with musical idioms beyond jazz and beyond the North-American - European nexus, first and foremost African - Caribbean popular styles. 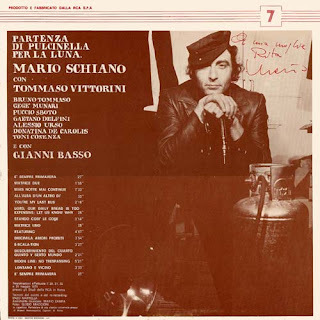 This was a "world music" type fusion project, before there was a word for it and it gives an initial signal of what was to be a new musical direction for Tusques - a deliberate attempt to go popular and not to become semi-permanently anchored within a closeted avant-gardish framework. There are interesting parallels with Michel Portal here who would always leave a little space for his bandoneon. This is music for the feet and the body as much as for the head and listening to this, the musicians are having a ball and the audience is lapping it up. This is a live recording, what may be called an audience recording, so don't expect too much high fidelity. What it lacks in sonics, it compensates in atmospherics. 1. On n'est pas chez les colonels. Recorded at Moulin de Prades, Le Lez, on 28 May 1971. 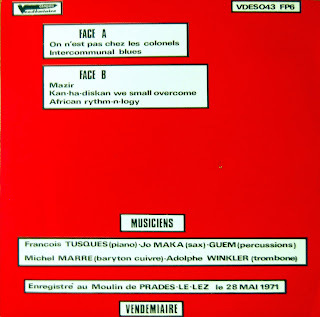 This was out on a small French label, Vendemiaire (with the logo "Disques d'expression sociale") as Volume 1. I'm planning to post Volume 4 next, but if anyone has or knows anything about Vols. 2 and 3, I would definitely be interested in posting them here on this blog. We had a request for this a while back, and from what I can see, it's becoming hard to find. The cd reissue of this record, that is. I don't have the cd, so this will take us back to the early 60s lp version of this one, out on the Capitol label in the US. Hope folks don't mind the original sound of this record, though it may not be up the sonic standard of remastered cds. 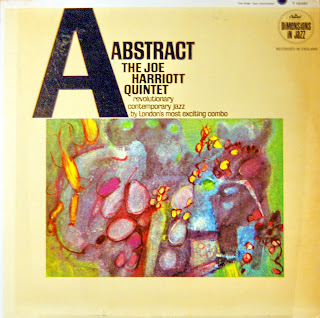 What to say about "Abstract"? Well, it's a classic (alongside the earlier Free Form), though not truly recognised as such, but we will fly the Harriott flag on this blog, and do our bit towards better recognition. 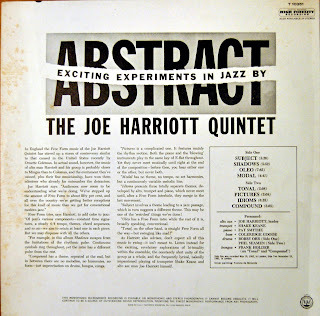 We've posted several Hariott records in the past, all very out of print, and should Free Form suffer the same fate, we'll put up that one, too. A brief description of what this music is about, can be found in the attached liner notes on the back of the sleeve, with track by track annotations from the man himself. (Just click on the picture and it will blow up to a legible size.) As the man says, don't expect all of this music to swing, it isn't meant to. But it is exciting and to these ears, still fresh, though not as revelatory as it might have been back in the days of be bop hegemony. 1-4 recorded May 10, 1962, in London; 5-8 November 22, 1961, in London. Greatest in all the jazz history. band was playing the "Cumbia & Jazz Fusion" suite. his first live performance : an encounter between Giants!